Benjamins are delighted to bring to market a well presented four bedroom detached property occupying a good sized plot, situated in the sought-after residential area of Keyworth on Delville Avenue. The property benefits from no onward chain, double glazing, gas central heating and briefly comprises: entrance porch, hallway, living room, dining room, kitchen, down stairs cloakroom, four double bedrooms, modern shower room and separate wc. 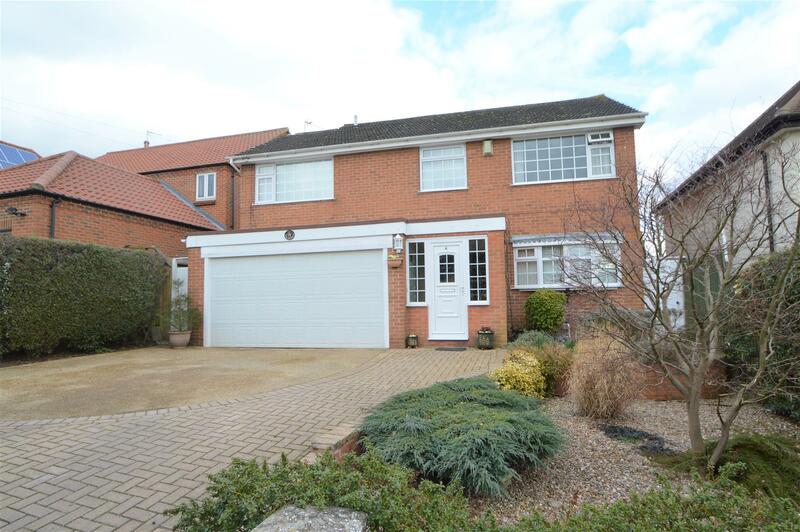 With a front garden, double garage, block paved driveway and a generous sized rear garden. The property is accessed via a partially glazed UPVC door leading into the entrance porch. Tiled flooring and door to the garage and entrance door leading into the hallway. Obscure UPVC double glazed window to side aspect, low level WC, wash hand basin and two taps. This good sized room has views over the rear garden with double glazed UPVC sliding doors providing access onto the patio. With a radiator, TV aerial point, coving to the ceiling, light fitting, carpet and stone-built fireplace with gas fire and door into dining room. With a double glazed window to the rear aspect, coving to the ceiling, ceiling light fitting, tiled flooring, radiator. Door into kitchen. The modern kitchen is fitted with a selection of wall and base units and storage cupboards and drawer units with roll top work surfaces. There is a breakfast bar seating area, cream sink with drainer and mixer tap, an integrated electric oven, integrated electric hob with extractor hood over, integrated fridge freezer, integrated dishwasher. 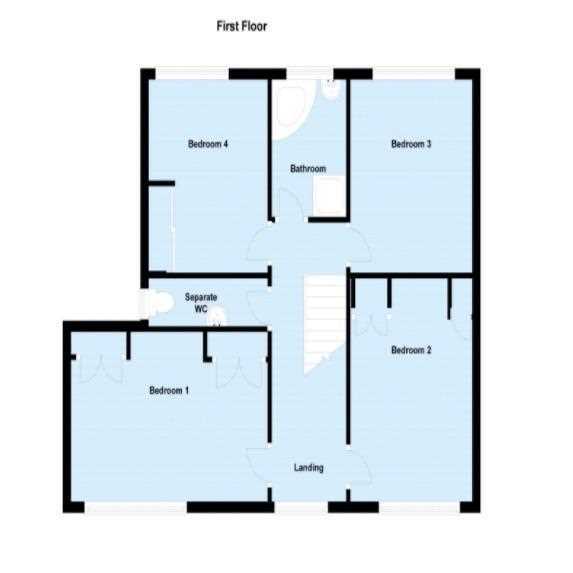 In addition there is a radiator, part tiled walls, tiled flooring, double glazed bay window to the front aspect and door providing access out to the side and rear of the property. A spacious landing with a double glazed window to the front aspect, radiator and access to the loft space with drop down ladder and electric light. 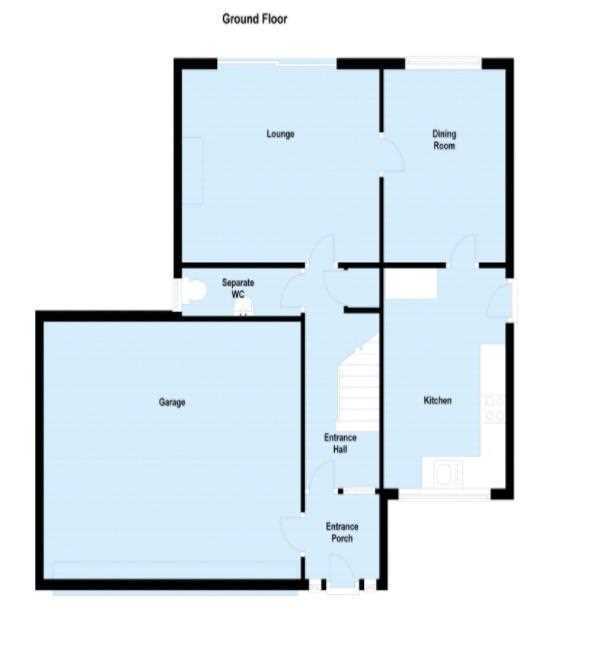 Doors to four double bedrooms, shower room and separate wc. With a double glazed window to the front aspect. The room has a selection of built-in wardrobes with matching bedside tables and overhead storage cupboard, radiator, ceiling light fitting, carpet and TV aerial point. With a double glazed window to the front aspect. The room has a selection of built-in wardrobes with matching overhead storage cupboards, radiator, ceiling light fitting, carpet. With a double glazed window to the rear aspect, radiator, ceiling light fitting, carpet. With a double glazed window to the rear aspect, radiator, carpet, ceiling light fitting and floor to ceiling double wardrobe with sliding doors. The modern bathroom is fitted with a large walk in shower cubicle and vanity wash hand basin with storage cupboards under. With an obscure double glazed window to the rear aspect, radiator towel rail and fully tiled walls. With an obscure double glazed window to the side aspect, wall mounted wash hand basin and low level wc. The property sits in a slightly elevated position, behind a front garden laid out with coloured stones and a selection of ornamental trees and shrubs. There is a block paved driveway providing ample off road parking for several vehicles and access to the integral garage. A pathway leads round to the side of the property where there is a secure timber gate providing access into the rear garden. The garage is accessed via an up and over electric door with light, power and plumbing, door providing access into the porch. A delightful south easterly facing rear garden offering excellent space for families with children. The garden enjoys a large patio area to rear and side of the property, ideal for outdoor entertaining, with steps down to a generous sized lawn with two ponds and herbaceous borders.